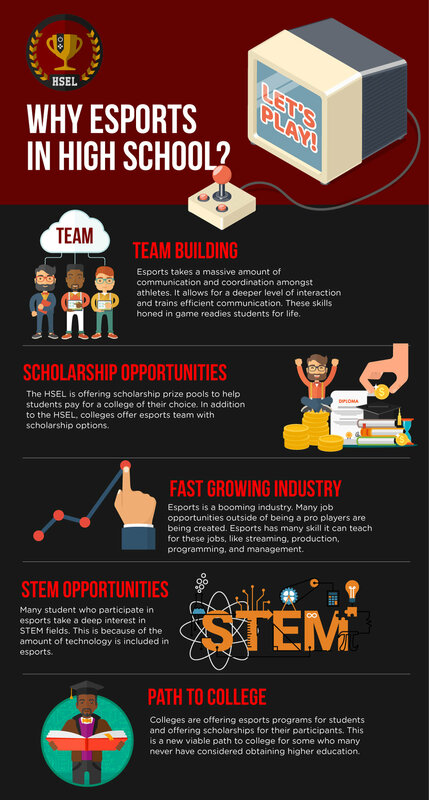 The HSEL strives to bring a level, universal platform of competition to school centered esports teams. Through professional tournament organization and administration, the HSEL will bring seamless, easy, and rewarding esports competition to your school. The HSEL acts on accord for all high schools, bring the best deals for PC's, jerseys, and other miscellaneous pain-points that comes with starting an esports program. We make strategic partnerships with major esports companies to ensure schools receive the best deals possible in growing their programs. The HSEL sees it necessary that educating high schools about the ins and outs of esports is fundamental to a programs success. Seminars, coaching and live video sessions will be held to ensure your club is maximizing its potential and reaching every student possible.